Welcome to yet another edition of "Springtime Without Hockey!" Superficially, Bobby's tweet looks cautiously optimistic. 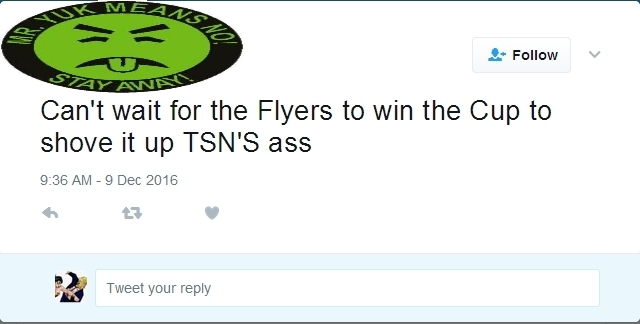 He's at least willing to concede that his favorite team from Philadelphia might not, in fact, be in contention for the Stanley Cup. Unfortunately, there's definitely a "WHEN YOU SEE IT..." angle to his tweet that should make palms smack foreheads. Do you see it? THEY HAVE A MONTH TO TURN IT AROUND! Bobby was still holding out hope well past the Flyers' expiration date, when the Flyers' miraculous amazing NEVER BEEN DONE BEFORE 10-game winning streak was a fading memory, and HE WAS BANKING IT ALL ON TONIGHT, BABY! 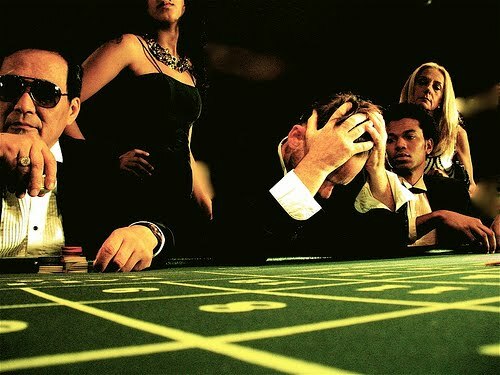 Bobby was likely the guy keeping Trump's now-bankrupt "Taj Mahal" Casino afloat in New Jersey by wagering thousands of dollars a spin on the non-existent "1975" on the roulette table. I'm (mostly) kidding Bobby, I'm sure that you're awesome. Delusional, but awesome. Michael Del Zotto occupying a roster spot should have been THE sign. Like, Ace of Bass SIGN SIGN SIGN. If you've read Matt Larkin's work at The Hockey News, then you understand that this was not one of his finer days. 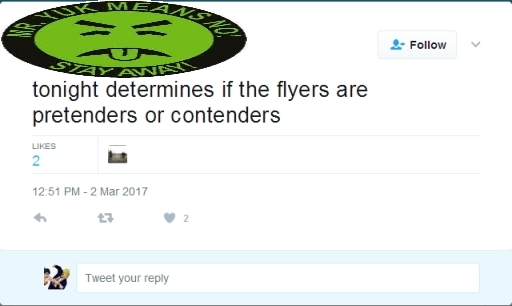 While part of the media and not overtly (or covertly, as I couldn't find out online) a Flyers' fan, he bought "the FLYERZ AREZ FOR REALZ" charade this past season, which happens more often than one might imagine (<----- click on this to see my favorite Tweet ever). "[Chris] Mason has shaken off his bad start, however. Before the team’s streak, he was 5-8-3 with an .892 SP. He’s won seven of the nine games in the current run, posting a .930 SP. It seems he’s back." 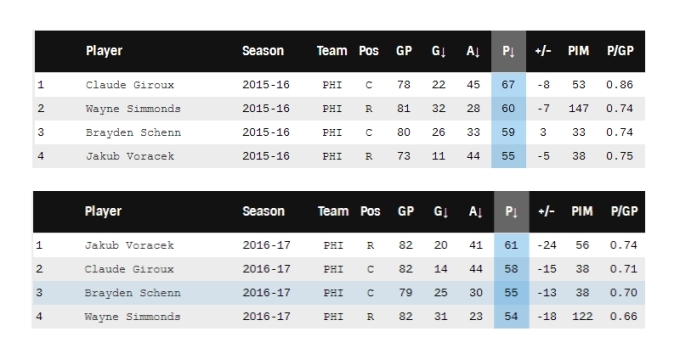 "The likes of Claude Giroux, Wayne Simmonds and Brayden Schenn were monsters in the second half last season and have carried over their efforts." "Regression." Philadelphia's 4th favorite word behind "Beer," "1975," and "Rocky." 2) +/- is one of the most misleading statistics in all of sports, ever. I'll also rehash one of my primary analytics barking points in that Larkin saying Philly had done "...a phenomenal job pelting opponents with shot attempts" is simply that, and the correlation to actually winning games is just a facet of confirmation bias (noteworthy when the team wins, forgotten when the team loses). All that being said, those Flyers +/- stats harken back to the days of Rico "X Generation Fata and his whopping -46 in 2003-2004 for YOUR...PITTSBURGH...PENGUINS! I present to you "Flyer Fandom"
In the words of Ellen Griswold to her husband Clark W., "...Don't stay up too late."